Lexus will participate in the Total 24 Hours of Spa-Francorchamps for the first time ever this year. 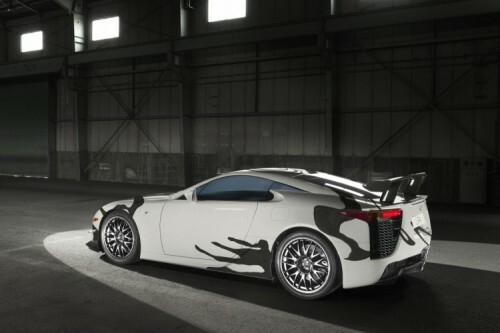 To celebrate its inaugural entry at the grueling Belgian endurance race as well as 10 years of its "F" performance division, Lexus Europe has commissioned a one-off LFA art car that will be officially unveiled at Spa. 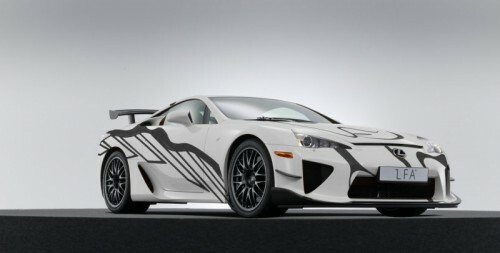 The LFA cookies-and-cream-like grey and white paint scheme is what the press release describes as "an organic pattern expressing the feeling of movement and constant evolution," showcasing Lexus F's eternal drive to improve its products in the name of performance. Judging by the carbon fiber front splitter, canards, and rear wing, this example also features the $70,000 Nürburgring Package. Lexus is racing two RC F GT3s under the banner of the Emil Frey Lexus Racing team, who raced at the 24 Hours of Spa last year with Jaguar. "Taking into consideration the track of Spa suits our Lexus RC F GT3 very well with its fast corners, we should see a good performance," said Team Principal Lorenz Frey. "Spa is one of the toughest GT3 races taking place on probably the most spectacular race track there is and everyone in the team is really excited for our first 24 hours race with the Lexus." 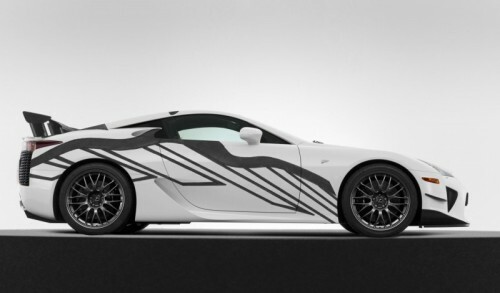 The LFA art car will debut at the beginning of the Spa racing weekend, which runs July 28-29, and will participate in the on-track parade before the race starts on Saturday. Lexus is celebrating 10 years of its F performance with these limited edition aesthetic packages.